John David Dingell Jr. (born July 8, 1926) is an American politician who was a member of the United States House of Representatives from December 13, 1955, until January 3, 2015. served as a House Page and attended the Capitol Page School from 1938 to 1943. In 1944, he enlisted in the U.S. Army, where he served until receiving an honorable discharge in 1946 after World War II. 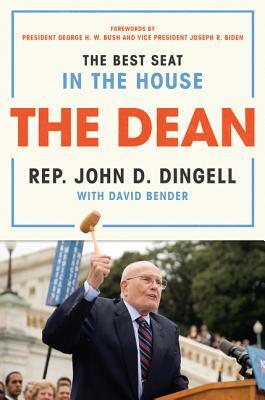 When his father passed away in 1955, Dingell won the special election to succeed him in the House on December 13, 1955. Though decennial reapportionment reshaped the borders of his district over time, Dingell was re-elected to office for an historic 29 additional terms. During his House career, Dingell rose to the powerful chairmanship of the Energy and Commerce Committee (97th-103rd Congresses and 110th Congress; 1981-1995 and 2007-2009). As such, he played a highly influential role in legislation ranging from the automobile industry and energy policy, to the environment and health care. When Dingell retired at the end of the 113th Congress (2013-2015), he held the record as the longest serving Member in congressional history-with a total of 21,572 days in office-approximately 58.9 years. He lives in Dearborn, Michigan with his wife, Congresswoman Debbie Dingell. David Bender is an author and lifelong political activist who has worked on multiple presidential campaigns since 1968. He has edited and cowritten books with actor Kirk Douglas, musician David Crosby, and broadcaster-businessman Merv Griffin, and was the West Coast contributing editor at George, the political magazine founded by John F. Kennedy Jr. He lives on airplanes.